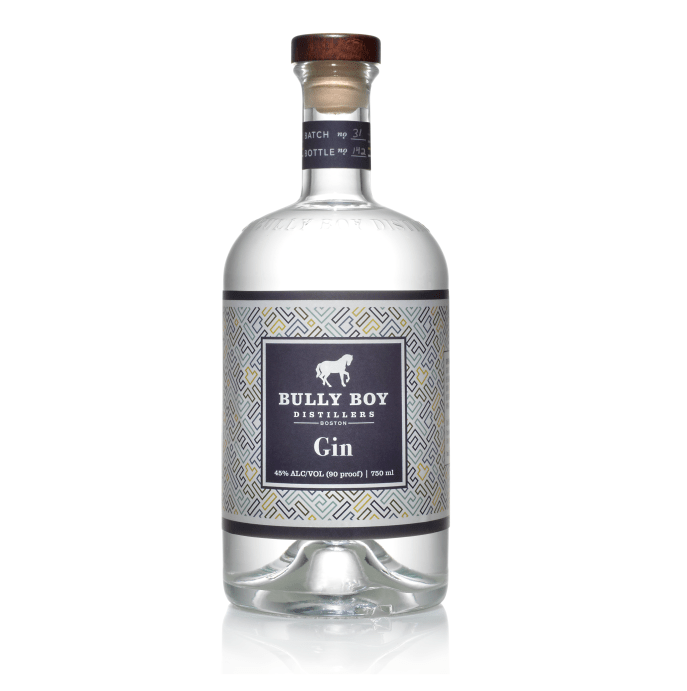 Boston-based Bully Boy Distillers already makes an Estate Gin, so don’t get confused by this non-estate rendition, which is a completely different product. While most gins are typically crafted with a neutral grain base, Bully Boy draws inspiration for its Gin from its acclaimed White Rum by using a cane base. This provides the spirit with a mild tropical and honeysuckle undertone, which is then enhanced by a collection of carefully selected herbs and botanicals, including Italian Juniper, fresh ginger, blueberry and grapefruit. To add complexity, the gin also features flavors of coriander, cardamom, chamomile and cinnamon, which provide a unique herbal balance. So, gin-flavored rum, eh? Let’s give it a whirl. The nose doesn’t let on about the rummy origins: It’s traditional, with lots of juniper, sharp black pepper, and a hint of citrus. The palate takes things in another direction. Immediately sweet, the sugar is complemented by lemongrass, a spray of dried herbs, fresh citrus, and a hint of green olive notes. The finish is brisk and sharp, with lots of juniper, though that sweetness really lingers for quite a while. Imagine a London Dry gin, pumped up with a spoonful of table sugar, and you’re not far from the experience here. For me, I think Bully Boy’s more traditional bottling is the better buy, though this expression is certainly not without its charms. 90 proof. Reviewed: Batch #3.